Are you looking for "your place to be"? At FBC Springtown we want you to feel right at home! Regardless of who you are, or where you have been, you can discover your personal significance and experience a community of real friends. Come on in - look around, then join us! The only payment for sin is death. Someone must die for the sins we have committed. Jesus died to pay the debt owed by your sins. Since Jesus was sinless and owed no debt to God, his death could pay for our sins. He took the penalty we deserved as his own and made it possible for a righteous God to forgive our sins and offer us salvation. Who can receive the gift Jesus died to give? Anyone, no matter what he/she has done in the past, can call on Jesus in faith and rely on Him to restore your relationship with God. How can you receive this gift? In prayer, confess your sins and mistakes to God and believe in your heart that Christ died in your place. If you pray the following words with sincere commitment of your heart, you will receive that gift of salvation that God so freely gives. Thank you for loving me. Thank you that Jesus died on the cross to pay the penalty for my sins and failures. I admit to you that I am a sinner, that I need you to save me. I ask you to forgive me of my sins. I turn from them now. I invite Jesus into my life as my Savior and Lord. I will turn my life over to him and will live for him. Thank you for giving me eternal life. In Jesus’ name I pray. Amen. If you prayed this prayer, please call me so I can pray for you. 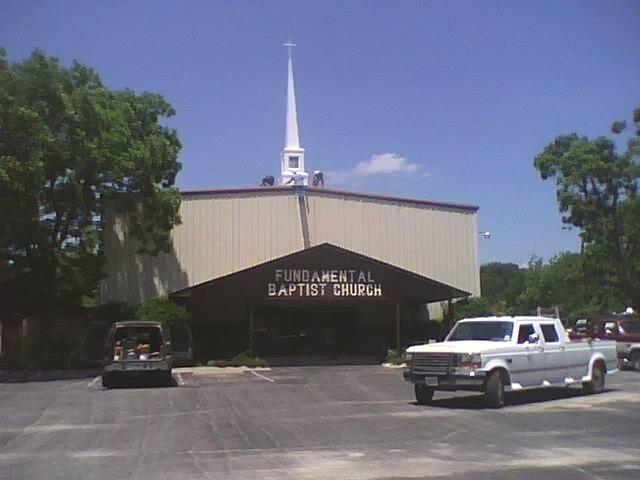 We invite you to come be a part of Fundamental Baptist as you begin your new life in Christ.